Tranmere Rovers, along with Cheltenham Town, were relegated from the Football League to the Conference at the end of the 2014/15 season. Their places were taken by Barnet and Bristol Rovers - 2014/15 Conference table and play-off results. Tranmere won their League place back at the end of the 2017/18 season by winning the National League play-off final at Wembley - Tranmere and Macclesfield replacing Barnet and Chesterfield in the Football League for the start of the 2018/19 season. 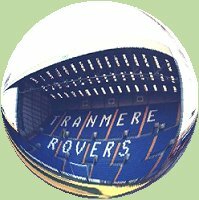 * Tranmere had two points deducted in the 1987/88 season for the unauthorised postponing of a match (details - points deductions).